You have known Sapa from travel magazines or social networks and opted to discover it for your upcoming vacation and family. However, on the travel market of Vietnam, there are too many different itineraries that make you confused. Lao Cai: Ready for Tourism Cultural Week "Colors of White Highlands"
The unique features of Sapa tourism are the majestic hills, the remote valleys of ethnic groups live. So, there are many ways to explore Sapa depending on your health condition. The trip starts with the night train experience from Hanoi to Lao Cai Station, then you will be guided to pick up and go to Sapa by bus. 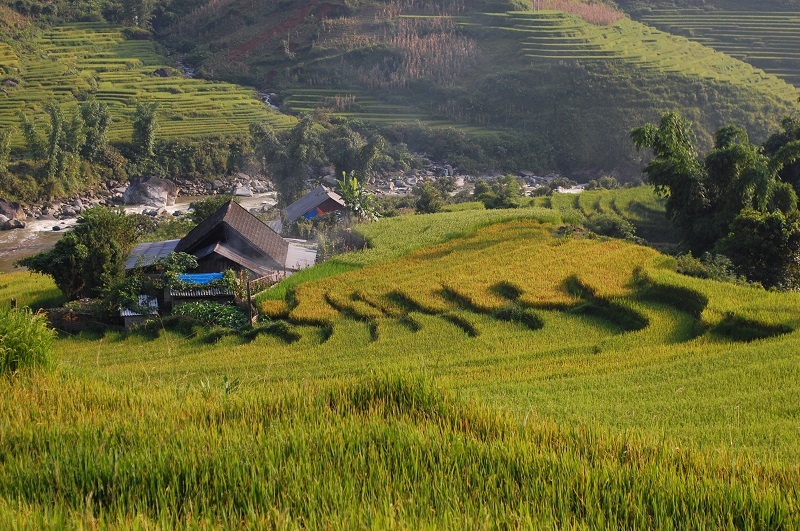 On this trip you will trek along Muong Hoa River sneaking through the valley nearby Sapa town, which is surrounded by huge rice paddy terraces. On the way you will learn more about how is the rice cultivating, from when the seed sowed to harvested, until being served as cooked rice on your dinner table. The night you spend in Tavan village, the unique village in Sapa area where Giay minority live, will be an excellent experience. We assure you that our 2 day trips is designed to suit all travelers. It can be said that this is really the most basic trip for those who first want to travel Sapa when you have a vacation in Vietnam.